Propylene Glycol is one of three or four ingredients found in e-liquid for electronic cigarettes. As of late it seems that this substance is being bandied about in the media and among some other people as a hobgoblin out to get hapless smokers who don’t know any better. I thought now would be a good time for an eCig 101 installment to explain what this mystery substance is and dispel some of the misinformation surrounding Propylene Glycol. Propylene Glycol or PG as its commonly referred to in vaping circles, is a type of alcohol. 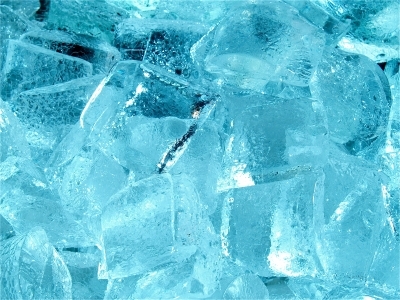 PG is an organic compound with properties that both act as a humectant (meaning it retains moisture) and also disrupts the formation of ice crystals in water. Because of these properties, PG is produced in the US on a massive scale and is used in a dizzying array of products. The substance can be found in everything from pet (and people) food, cleaning supplies, cosmetics, medicines and of course electronic cigarettes. It’s also a popular suspension medium for nebulizers used with breathing treatments. Propylene glycol is also used as an antifreeze and airplane de-icer. Antifreeze? Propylene Glycol is Antifreeze?! Yes, you read that right. It is indeed an antifreeze. Specifically, it’s recommended as an antifreeze where there is a risk of exposure to food. This is because Propylene Glycol is generally regarded as safe (GRAS) for oral use. Just in case you’re still wondering exactly what that means, I’ll let our favorite government agency, the FDA explain it. Ok, so that’s for food, and obviously we’re inhaling this stuff. I’ll cover it in a minute, but I want to talk about this antifreeze thing for a little longer. You may also like: Electronic Cigarette Free Trial - 4 Reasons to Say "No"
While it’s true the PG is indeed a type of antifreeze, it often gets confused with other types of glycols: ethylene glycol and diethylene glycol. Those are the active ingredients in toxic antifreeze and are indeed bad business. The whole antifreeze panic can be traced back to our friends at the FDA and their 2009 advisory (read more about the FDA and ecigs). That advisory specifically noted their analysis found diethylene glycol in e-cigarette cartridges. They actually found one cartridge containing the substance, at levels well below the danger threshold. Naturally the media ran with it since antifreeze sounds scary and it’s easily relatable. From there, many people began to simply assume propylene glycol equated to the other type of antifreeze. Still, the findings did highlight the importance of good quality control in the industry. 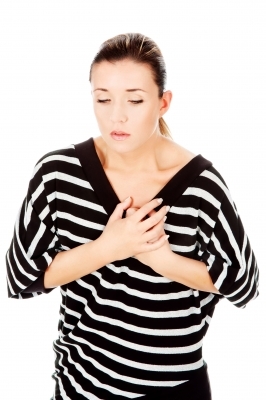 One of the side effects of PG inhalation is indeed acute respiratory irritation. Of course, that phrase makes things sound very dire. In reality, acute is simply a medical term for something that happens suddenly. Also, the reaction is transient. The irritation subsides once exposure to airborne propylene glycol is removed. Furthermore, the symptoms only occur in a small number of people. The other thing about the article that bugged me was it made it sound as if this was some kind of new research. I’ve seen also seen mention of not a lot of science behind vaporized propylene glycol. Here’s the thing, PG and yes, even vaporized PG has been studied since before Glenn Miller went missing. In case you’re too young to be around when educational channels showed educational programs, that was a World War II reference. You see, PG has been studied since the early 1940’s. Propylene Glycol was investigated as a disinfectant back in the old days. It was actually found to be a pretty effective one at that. In fact, before it was uncool to randomly experiment on sick kids, one study looked at using the stuff to cut down on infections in a children’s convalescent home. I guess they were out of orphans that day. The list goes on and on with studies running from the 40’s on. I was going to originally going to fill this article with such studies. However, it turns out the National Vapers Club did a pretty good job of collecting many of them. I’ll refer you to their list if you want a little further reading on the subject. According to a 2010 study by Karlstad University, the concentrations of PGEs, propylene glycol and glycol ethers in indoor air, particularly bedroom air, has been linked to increased risk of developing numerous respiratory and immune disorders in children, including asthma, hay fever, eczema, and allergies, with increased risk ranging from 50% to 180%. This concentration has been linked to use of water-based paints and water-based system cleansers. Naturally, I kind of wondered why the prohibitionists weren’t running wild with the results of this study. Then I read the study (you’re welcome), and it turns out it’s just the PGEs that are suspected of increasing the chances of problems. Second, apparently elevated likelihood of the present outcomes was not driven by propylene glycol, most abundant PGE compound. Rather, the estimated risks after excluding the propylene glycol were almost identical as those based on the original definition of the PGEs. Furthermore, mean risks of the number of the PGE compounds in given home posed comparable risks as those estimates using the PGE concentrations, shown in Table 4. This suggests that multiple compounds, rather than a single one, contribute to the observed risks. If you’ve ever had a college professor tell you not to use Wikipedia as a source in your paper, now you know why. You may also like: Vaping On Planes - What Do You Need To Know? That’s not to say PG is perfect. Many people who use the stuff in their e-cigarettes are well aware of that. There are indeed some real issues with PG even if they aren’t quite as dire as the media wants to portray them. The biggest problem with propylene glycol is allergic reactions. According to one study I looked at, about 3.5% of the population may be allergic. Skin contact can cause a rash, while inhalation would indeed cause respiratory irritation among other symptoms. Beyond allergies, there’s sensitivity as well which could also lead to irritation and other symptoms. Levels of sensitivity vary by person and amount of exposure to the substance. There have also been studies indicating that contact with the eyes in either liquid or vapor form can cause eye irritation in some people. Like the other kinds of irritation it is transient in nature and goes away once exposure is removed. Of all the things for prohibitionists to pick apart with e-cigarettes, propylene glycol is hands-down the most ridiculous. Even though PG can be used as an antifreeze, that doesn’t automatically make the stuff a poison. What it makes it is incredibly useful in many things from feeding Spot to making sure your airplane can safely take off. It’s not like there is some huge unknown with this specific chemical, it has been studied extensively for the past 70 years. Naturally, there can be a few issues for some people who are sensitive to the product. If there actually were a problem like some people are trying to make PG to be, watching Cats would be a whole different experience. "watching Cats would be a whole different experience." I assume you mean the healthy ones in states that require Propylene Glycol be use as automotive anti-freeze vs the sick and/or dying cats in states where ethylene glycol continues to be used. Vegetable glycerine comes from vegetable oil …where does PG come from?